We are professional artists that will work with you to create unique artistic finishes for your home. Whatever your vision is, if it’s from a simple professional wall paint, or a Venetian plasters, a colorwash, or a professional stand out Mural. Our unique knowledge and artistic craftsmanship will help you “visioneer” your home or commercial space into what your imagination sees. Our customize services includes color and finish consultation. We are happy to come to your home or business and recommend color that will mix and match with the schemes of your fabric, tile, flooring and carpet. Assist you in those choices and give our expert advice on finish and application, a great solution for those do-it-yourselfers. 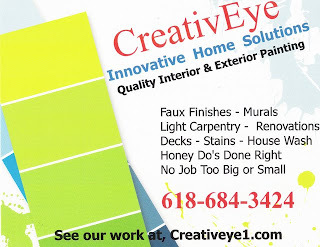 If it is one room or a whole house, a fresh new look for the living room or a full exterior painting job. We take great pride in our work and being a unique one-of-kind service to our customers. Part of that is because we feel we are in a very personalized business, and treat your home as your home. We never hired day labors or treat your home as a construction site. We work hard to create as little disruption as possible. We do all the little things that set us apart, we know the value of painting preparation and only use the best of paint and materials. We take the time to work closely with our customers and give them the kind of individual attention that few other painting contractors offer. 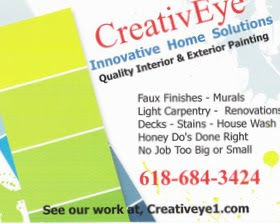 Contact us for your free quote on your painting project today. Because it is, “Your Vision, Our Eyes.